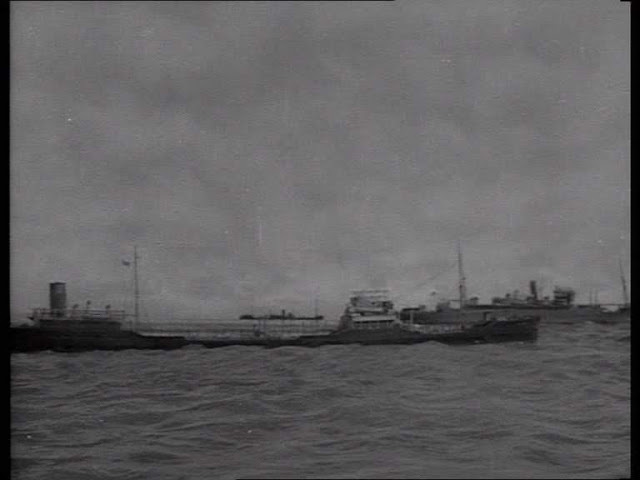 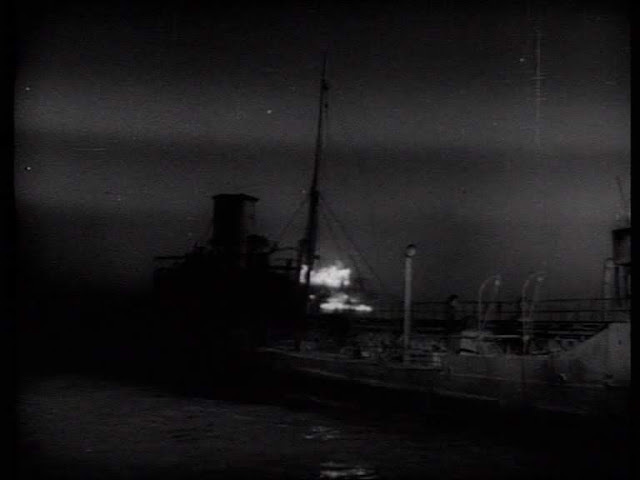 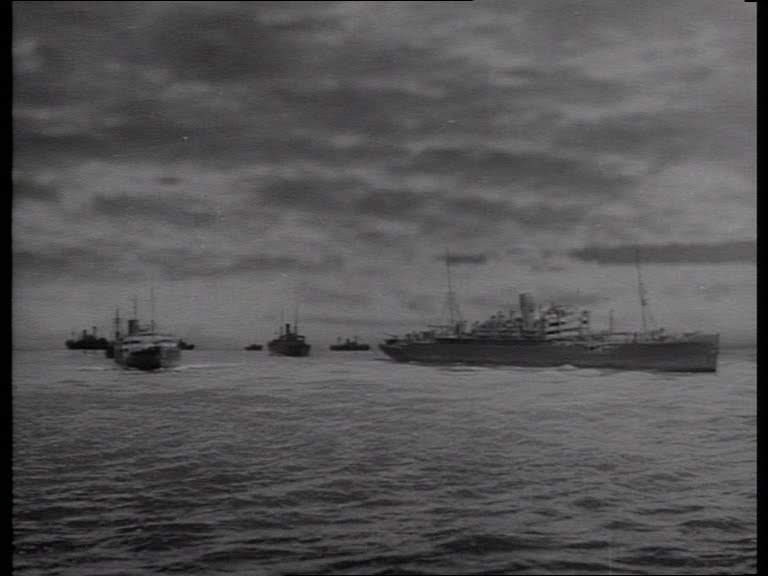 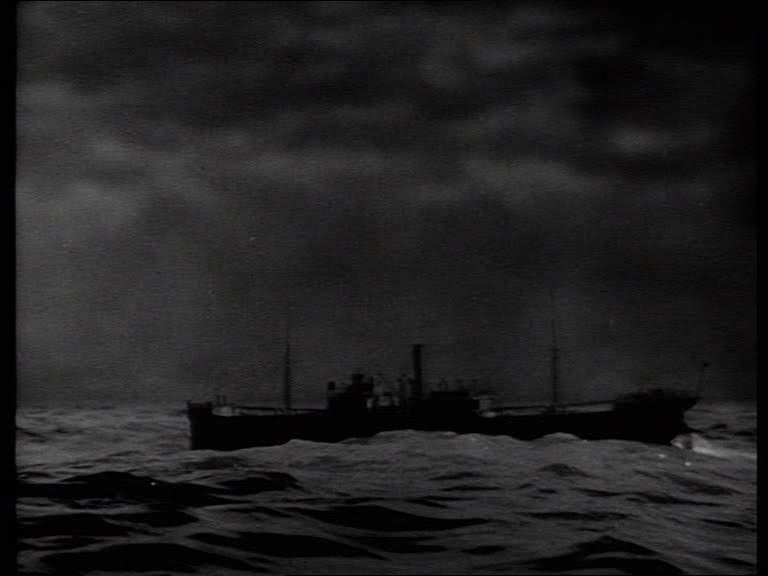 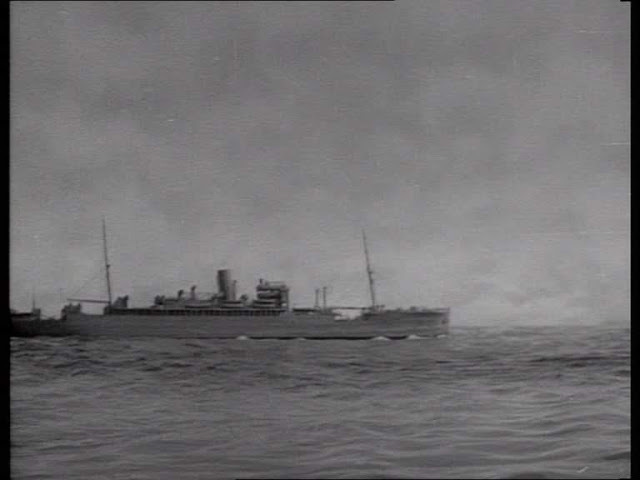 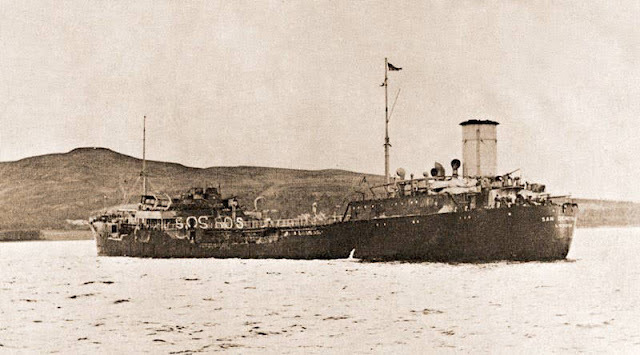 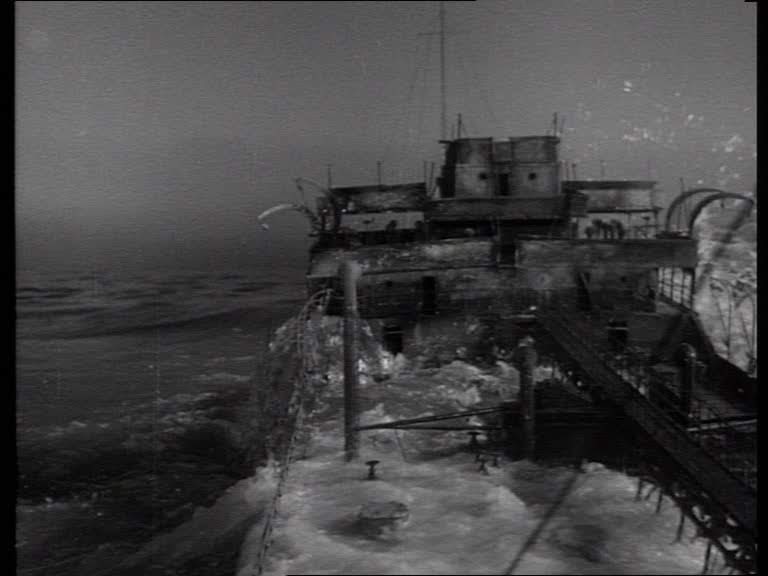 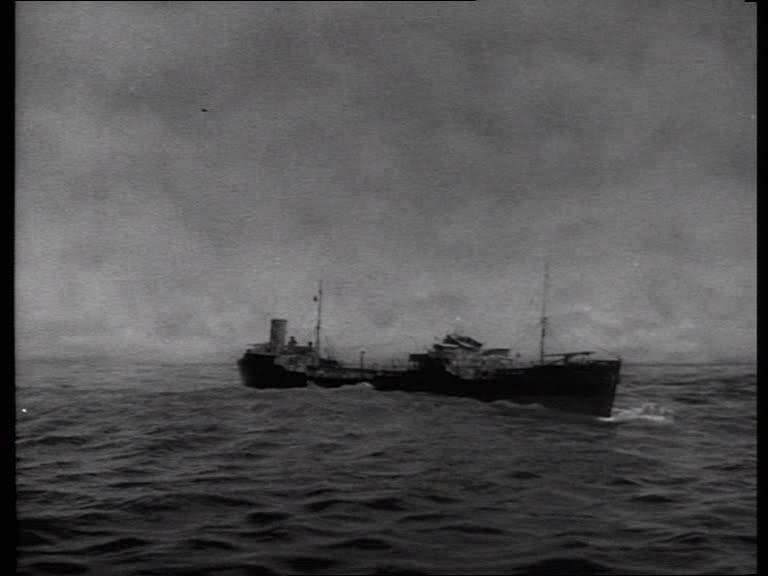 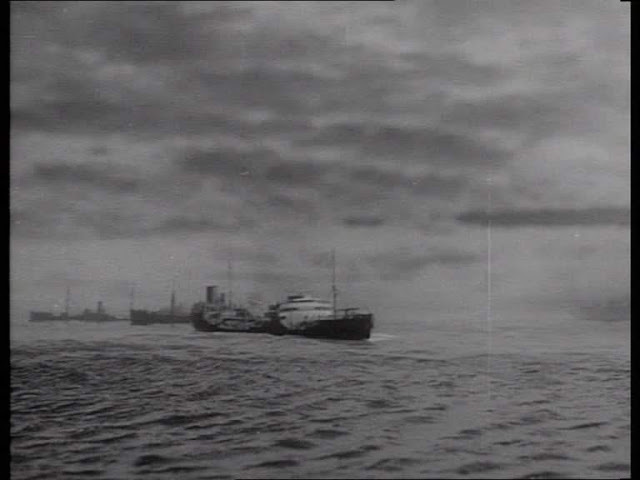 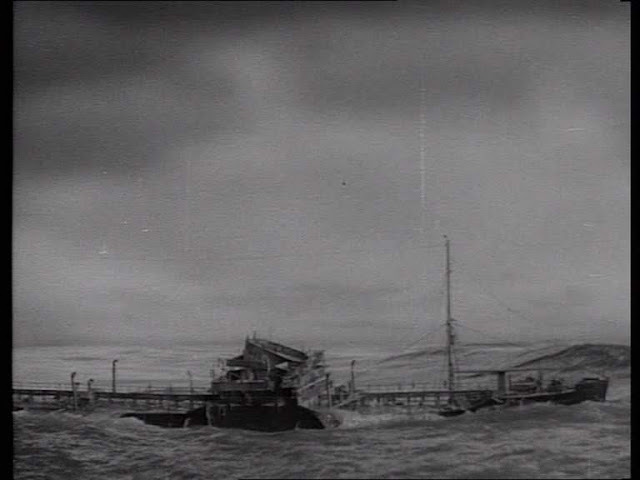 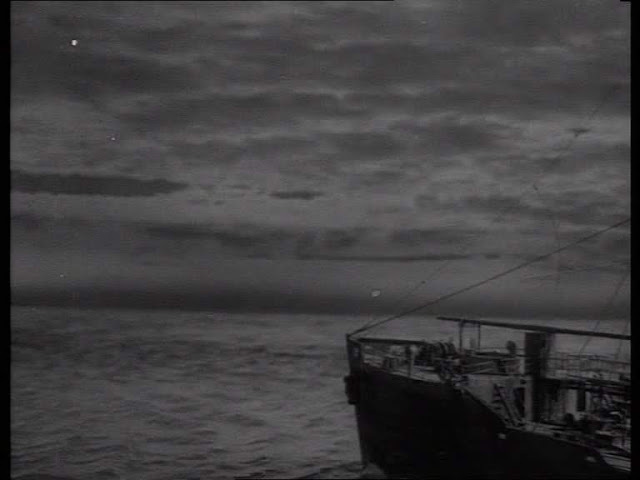 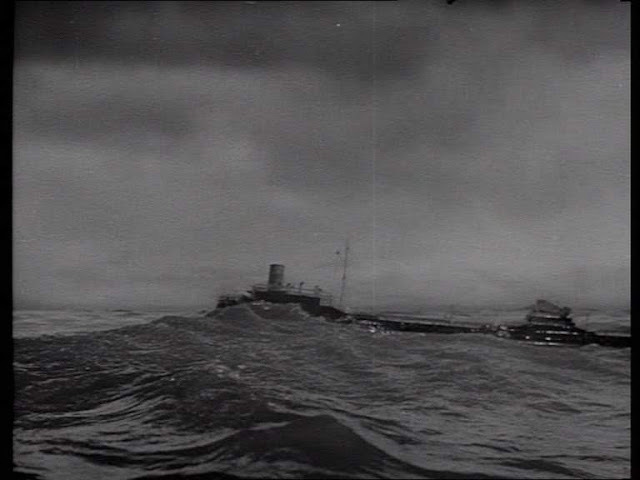 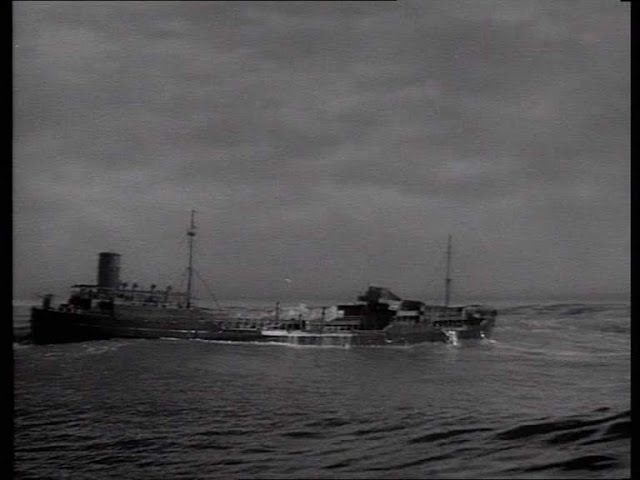 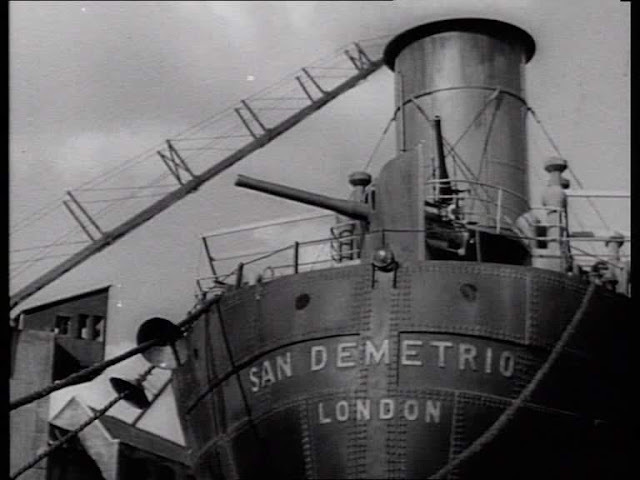 The movie title is the name of the ship and its registered port which was involved in a true story of miraculous survival early in the second world war. 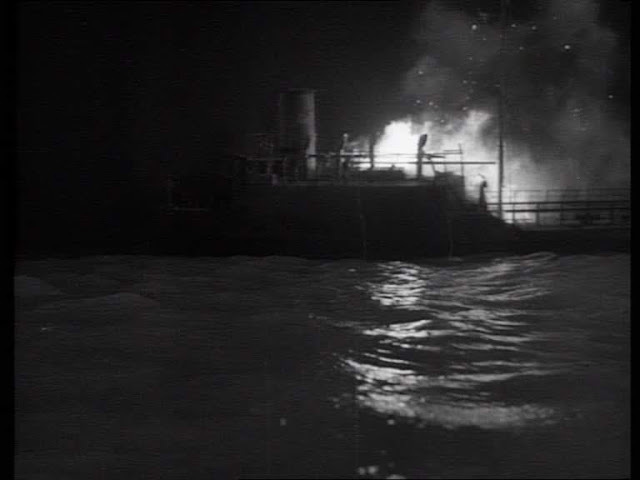 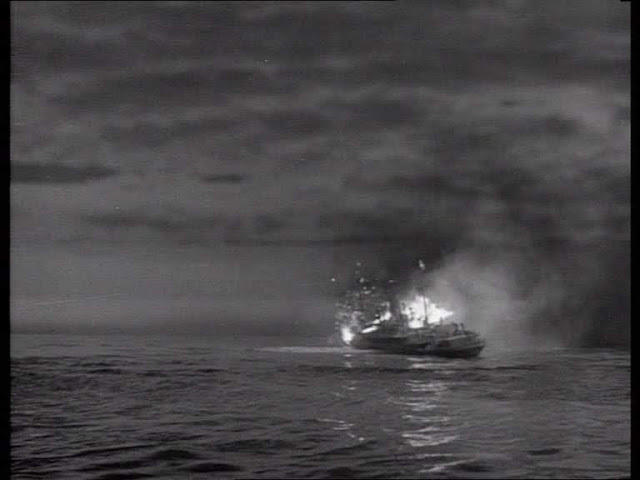 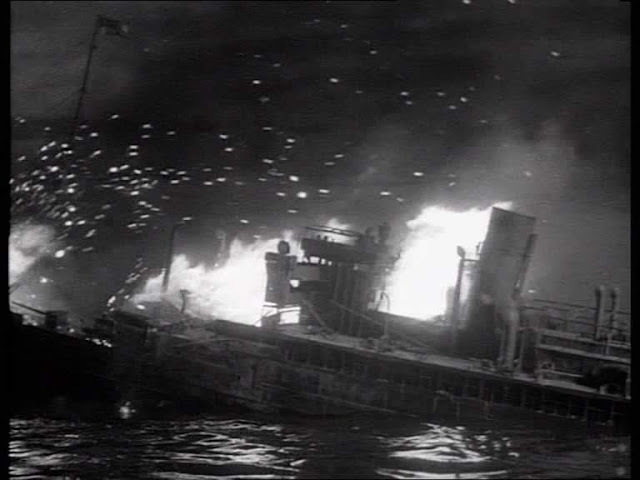 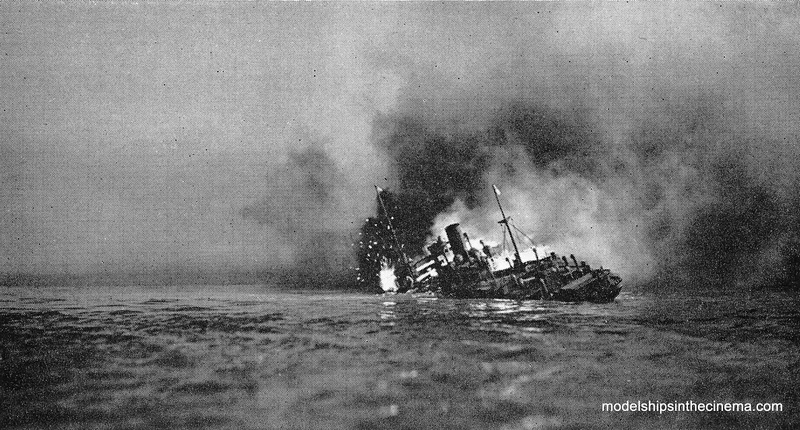 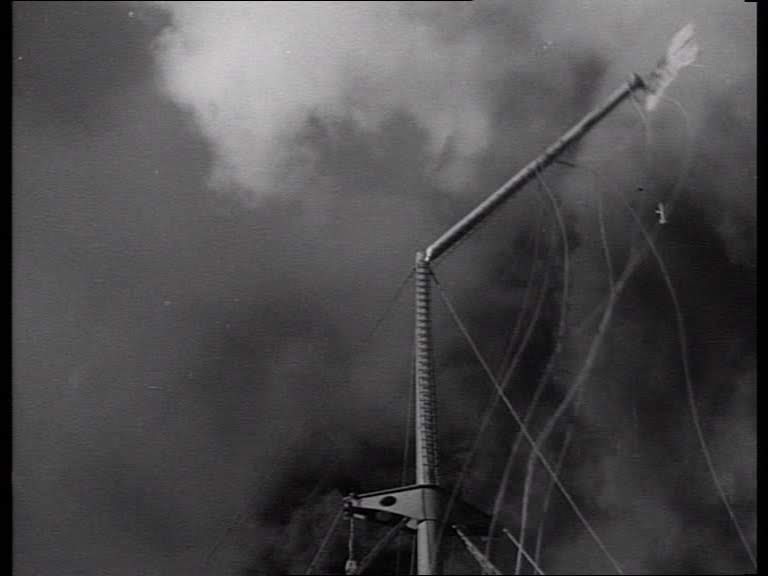 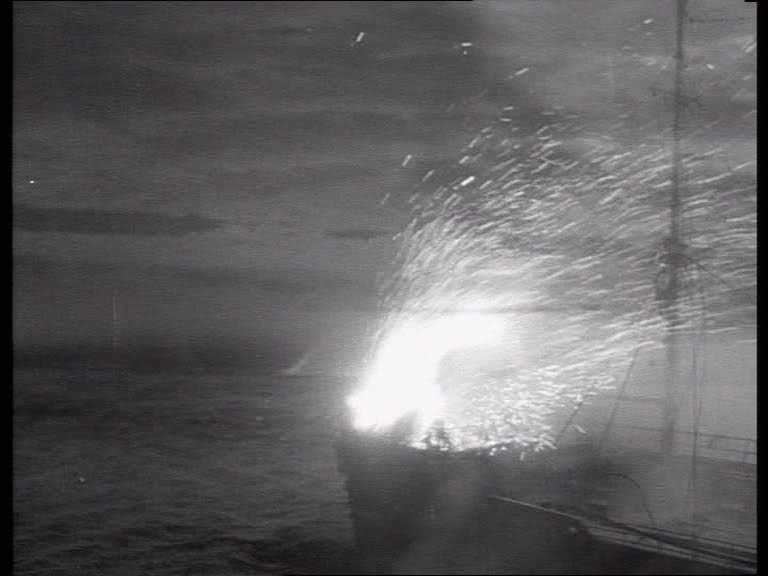 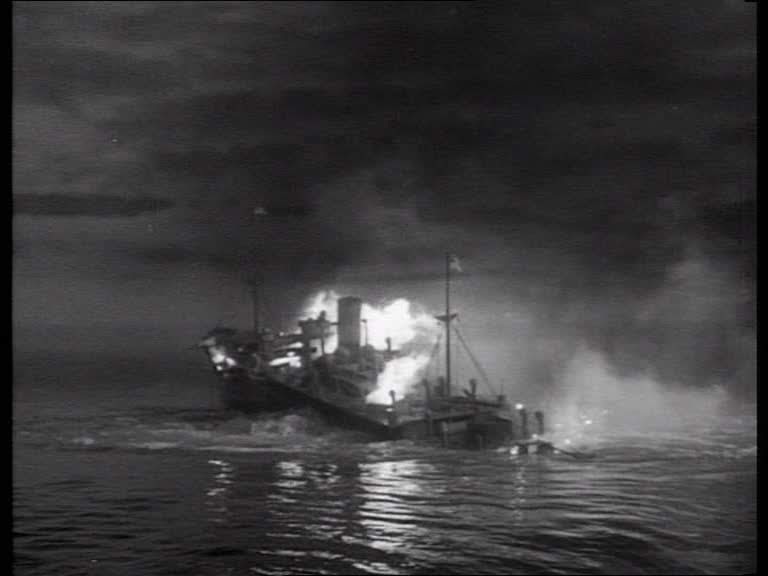 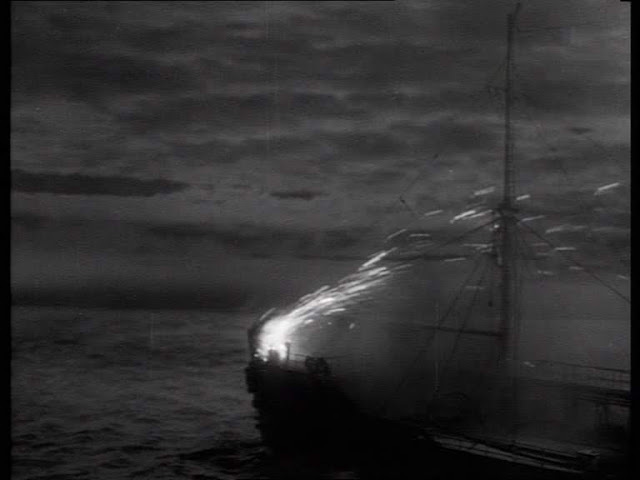 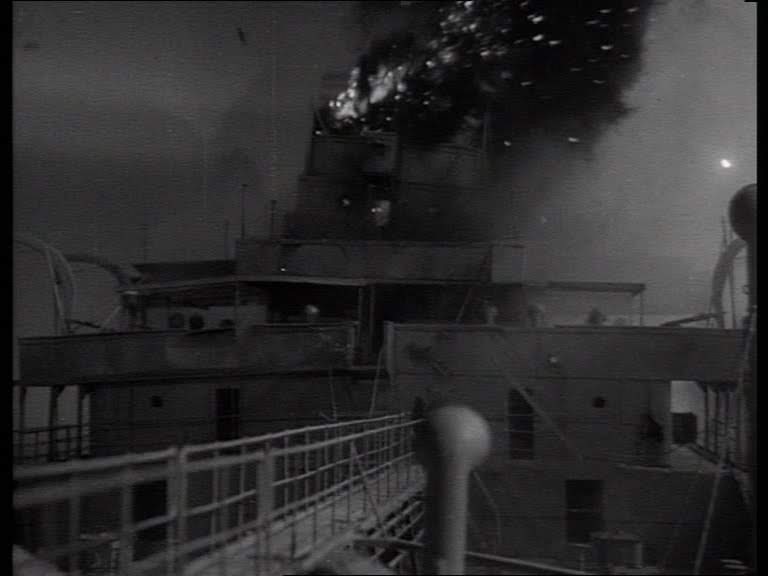 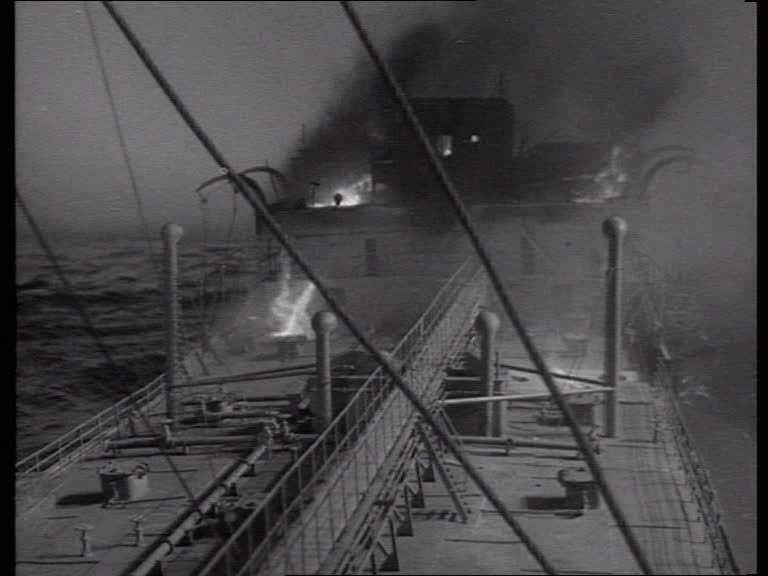 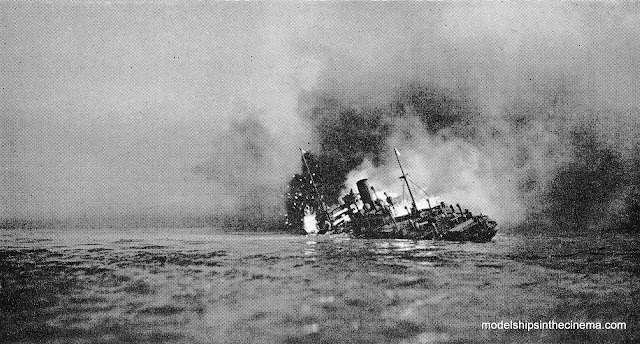 The crew abandons their burning tanker after it is shelled. One of the lifeboats finds itself back at the burning wreck after several days at sea and the remaining crew decide to re-board her. They eventually put out the fires and decide to make their way to England with the rest of the highly flammable cargo without a compass and without a bridge. 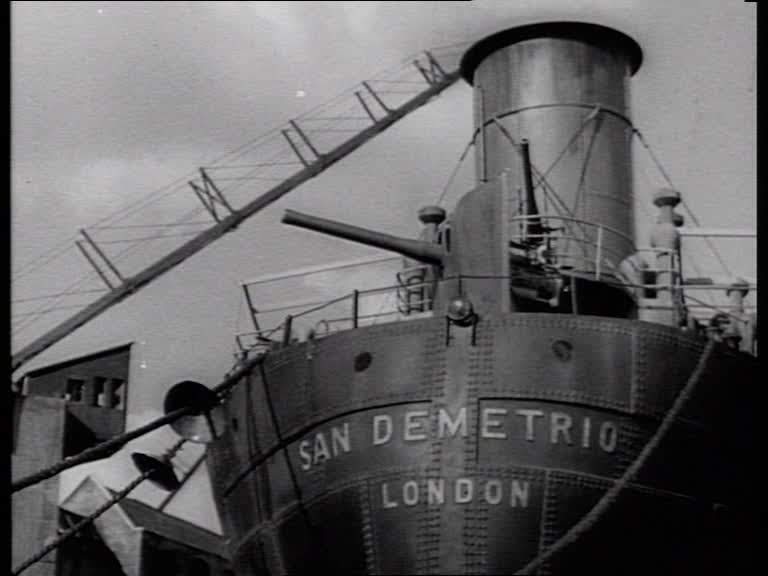 The chief engineer of the real San Demetrio was the adviser on the film which is a pretty captivating and by all accounts an accurate portrayal of the events. 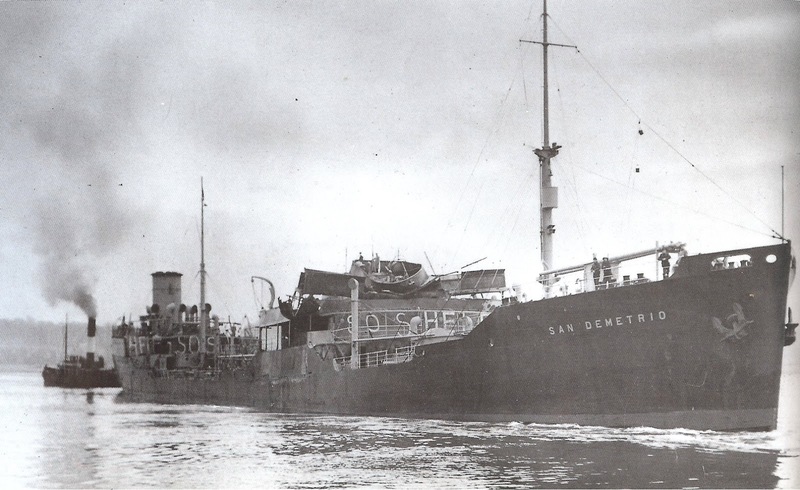 The real San Demetrio after the ordeal. 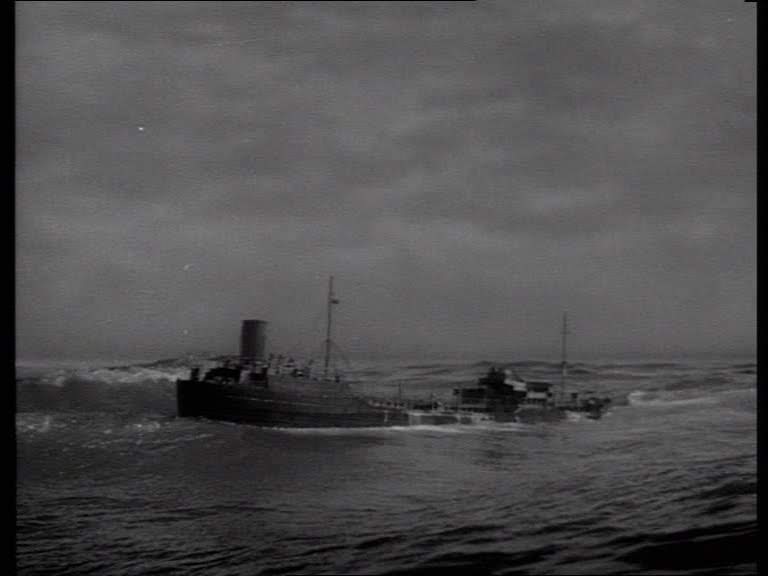 Like in the U.S., the war was a catalyst for U.K. film makers to more fully use miniatures to tell the contemporary war time stories coupled with the fact that real locations and ships had very restricted access. 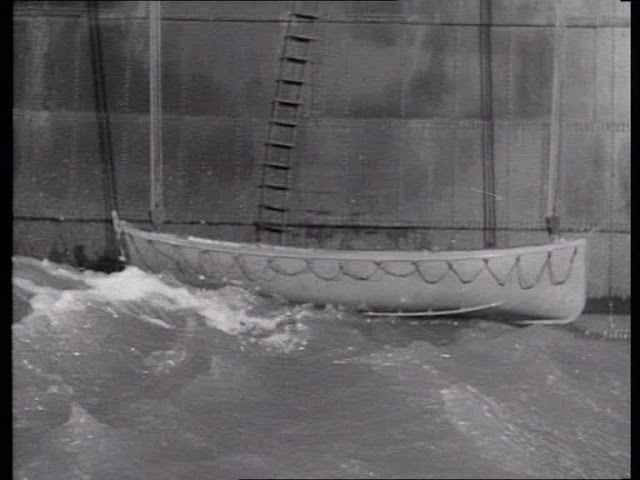 It meant that the quality of miniature work really did improve during the forties. 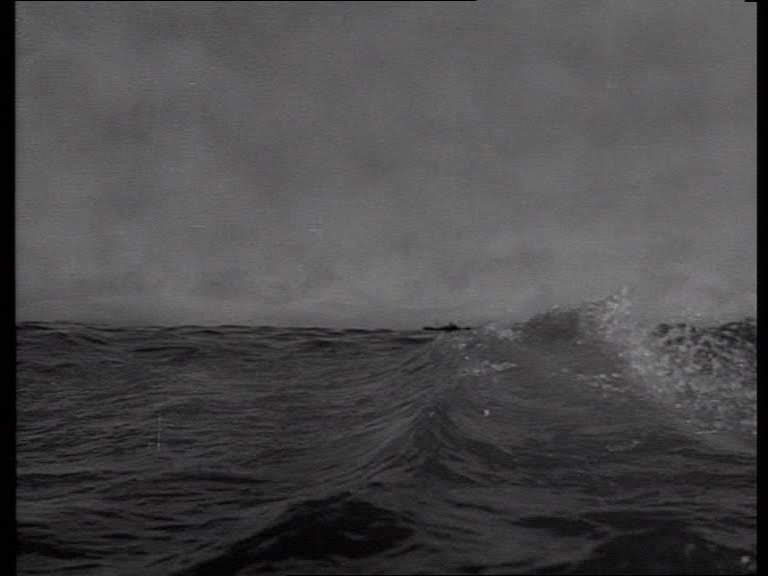 Roy Kellino one of the credited special effects supervisors worked on "Ships with Wings" in 1941 where the miniature work is very 'model looking' in a 1930's kind of way, hampered by depth of field issues and sometimes very studio-bound in the lighting. San Demetrio London made only 2 years later is a vast improvement. 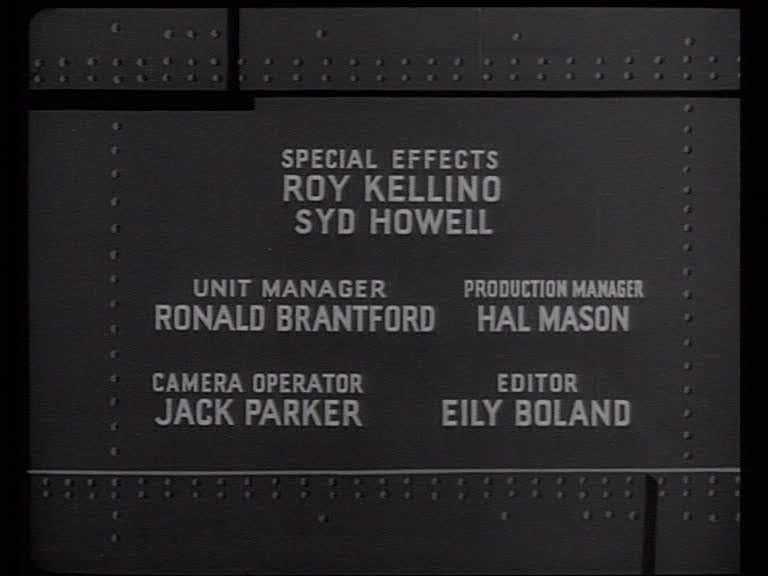 Syd Howell the other supervisor was generally known for process work, rear projection etc. 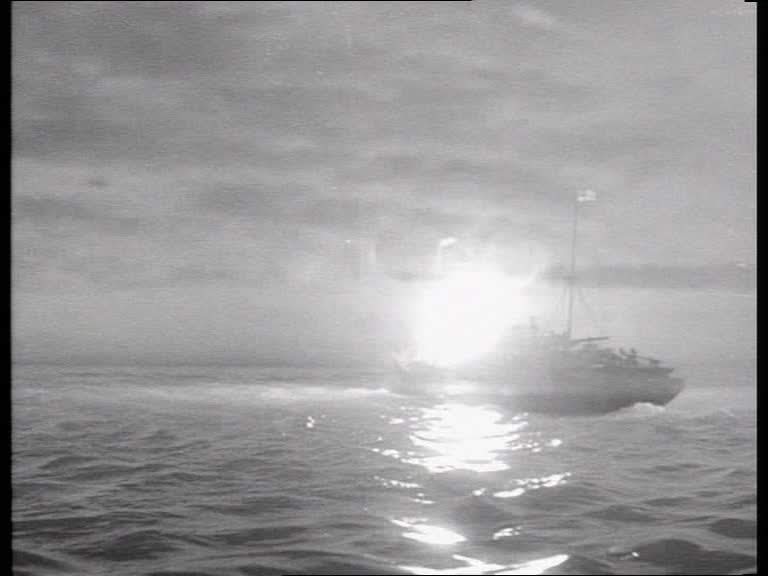 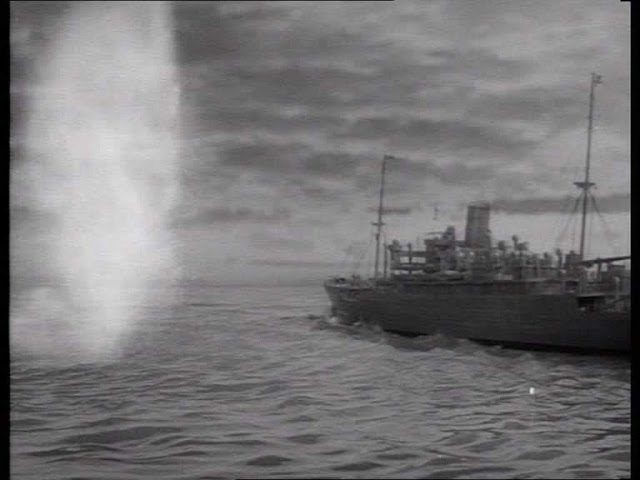 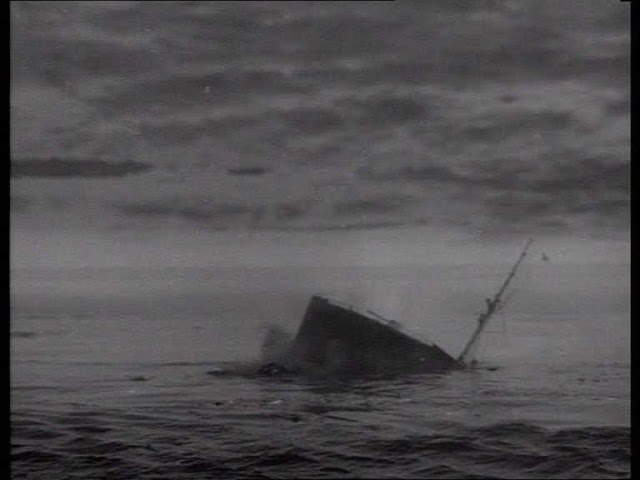 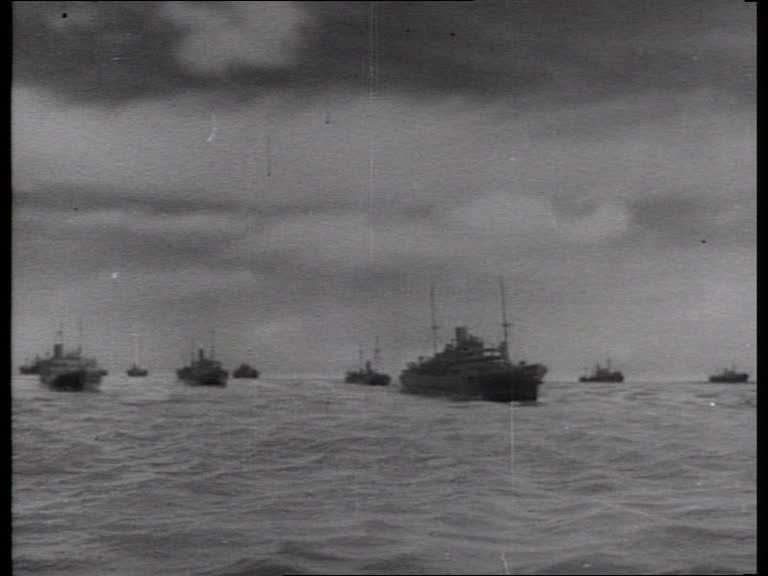 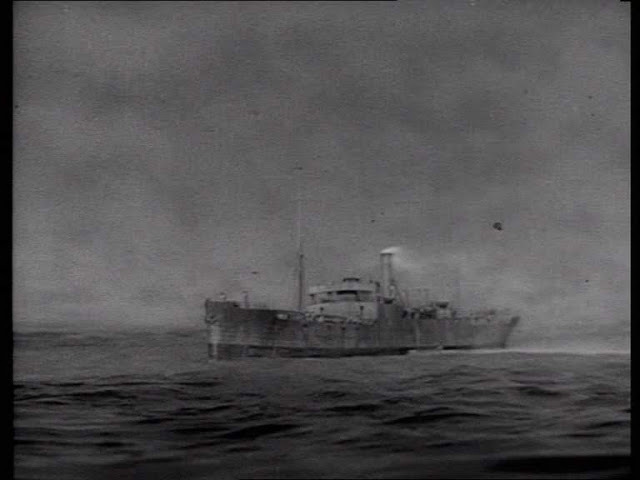 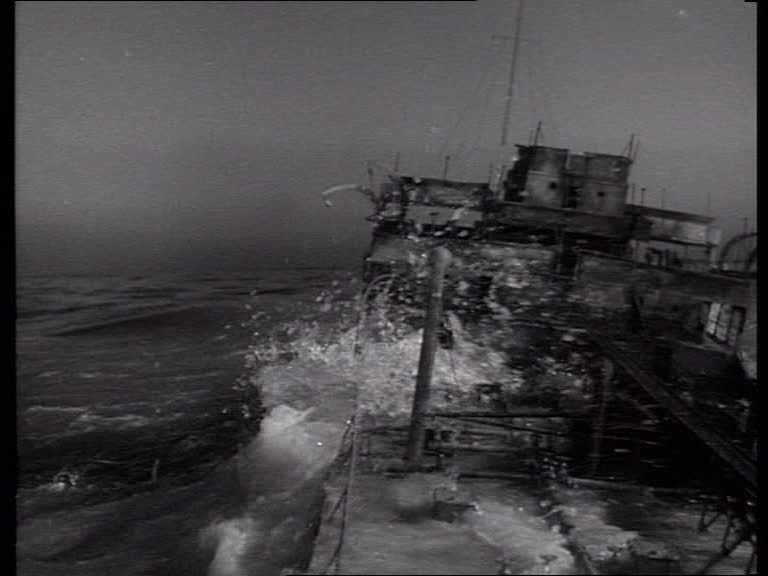 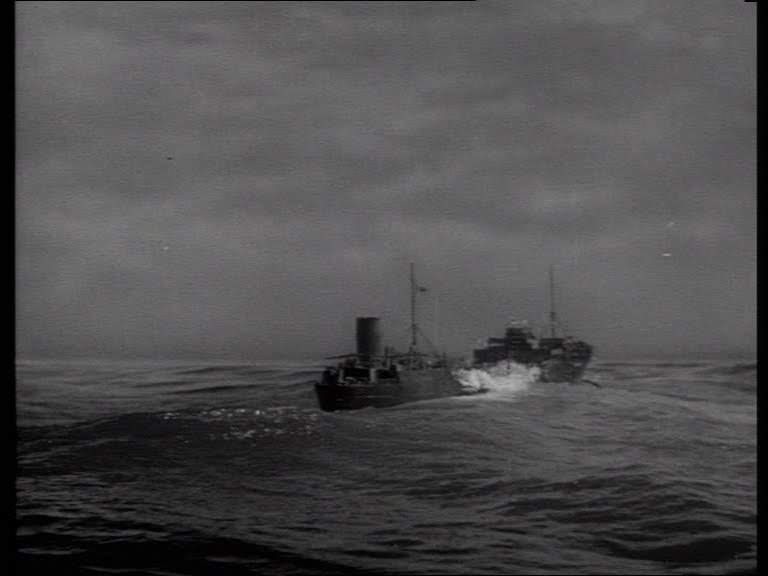 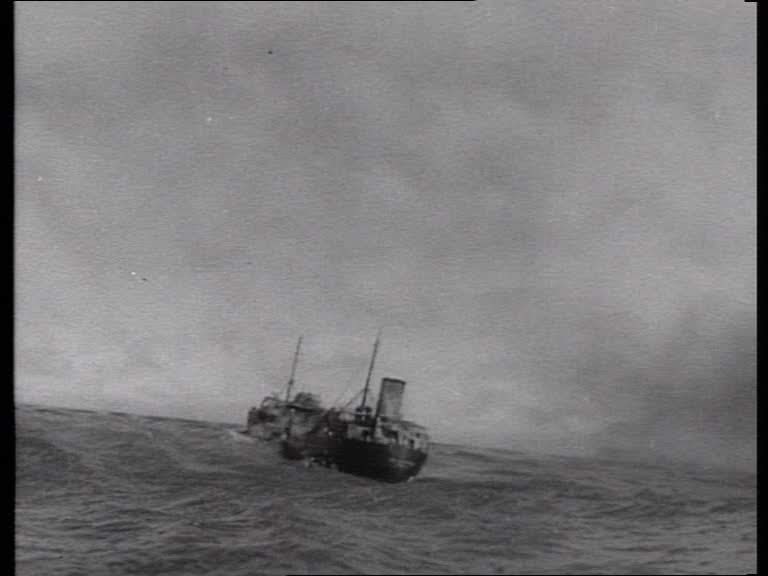 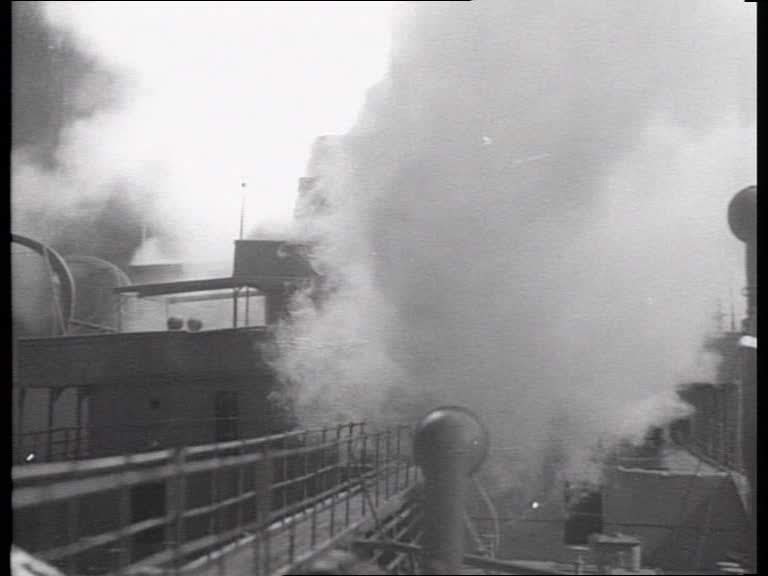 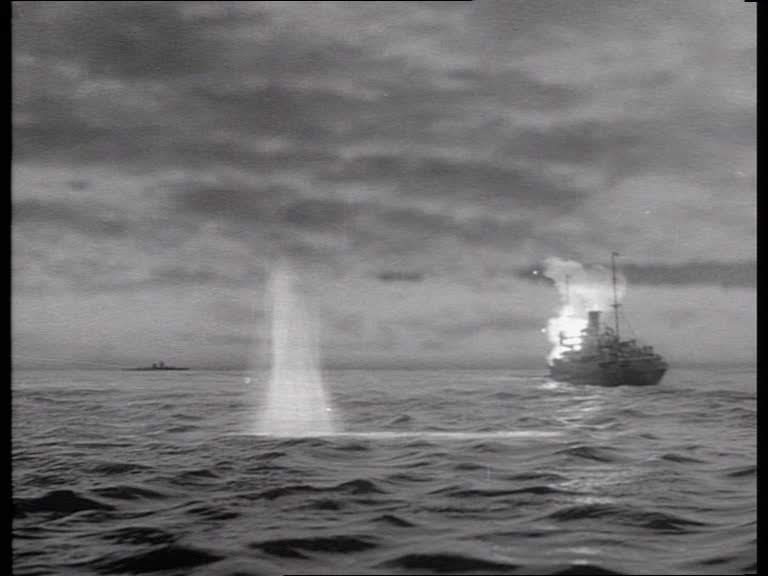 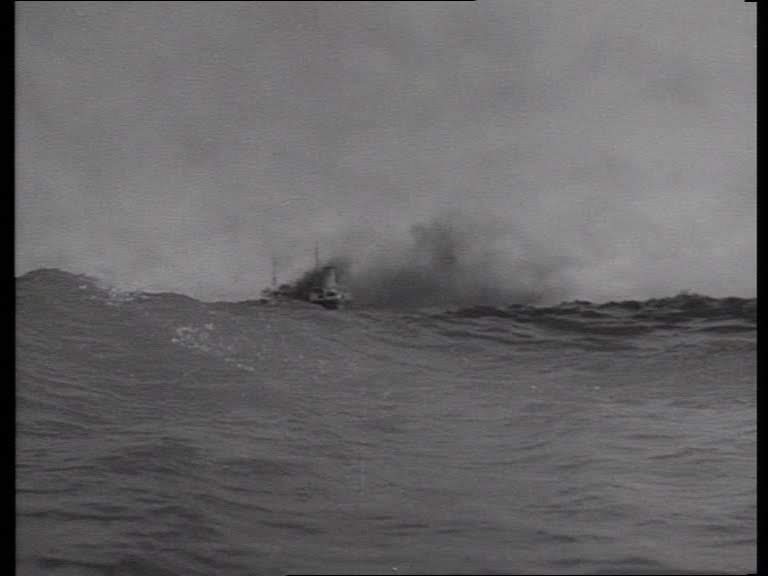 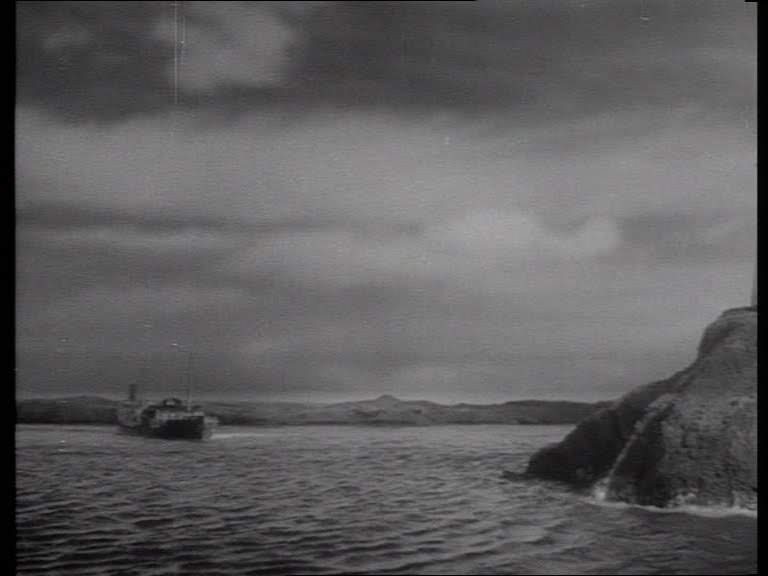 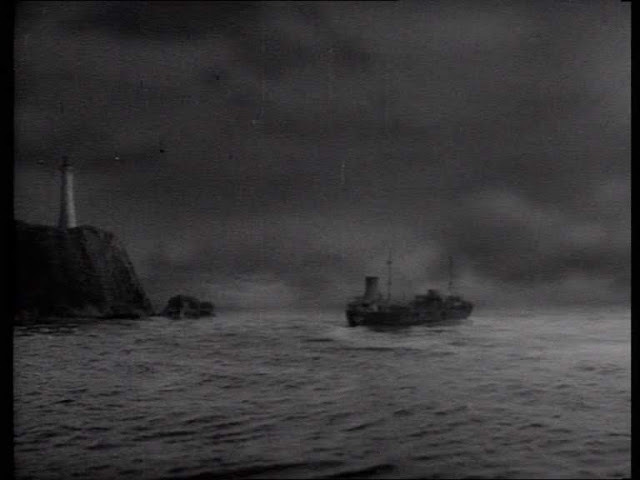 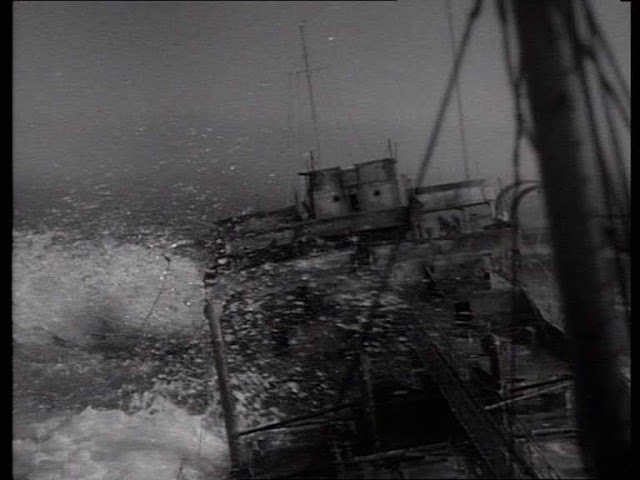 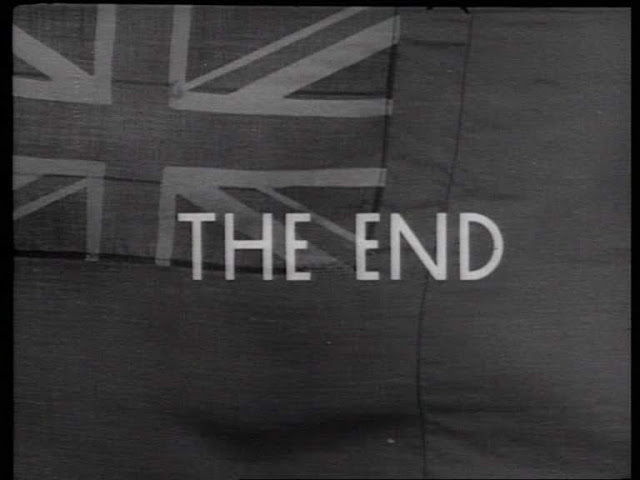 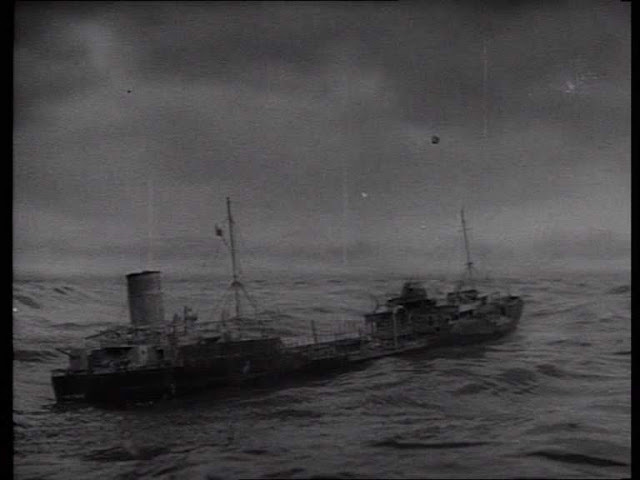 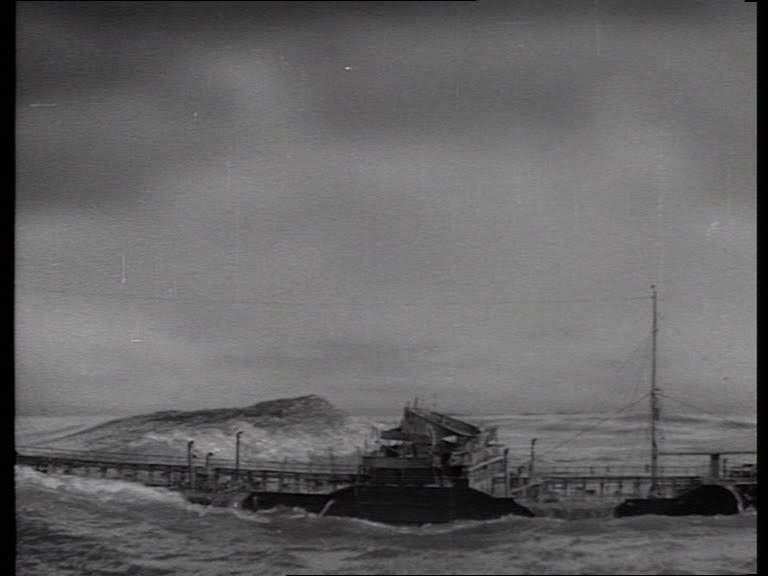 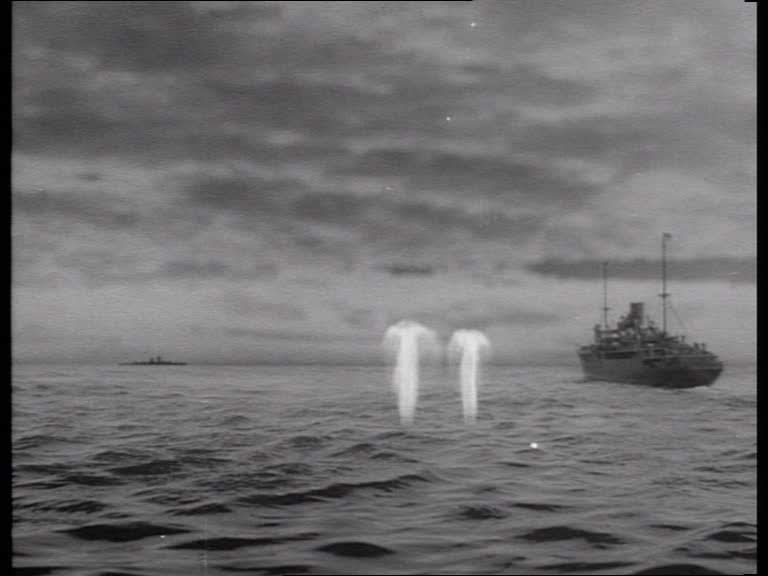 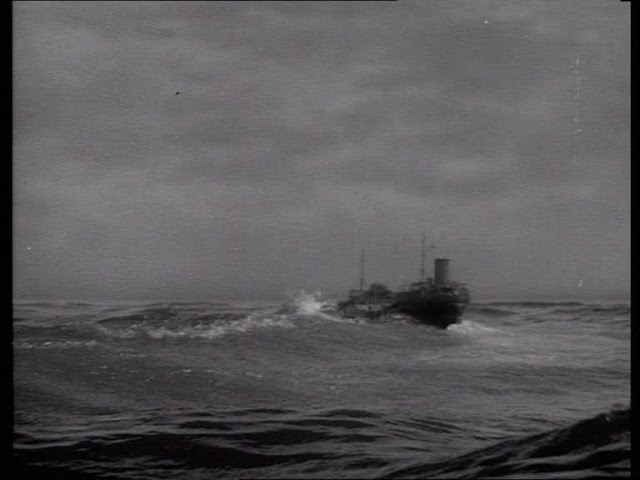 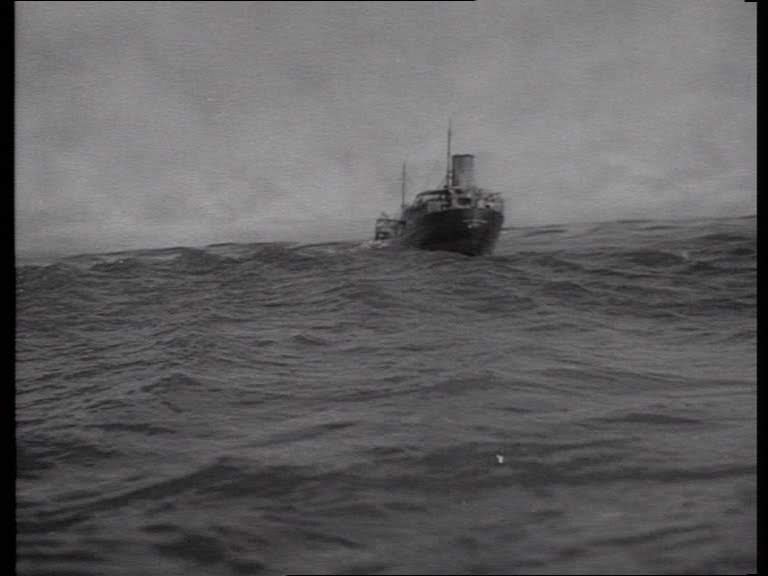 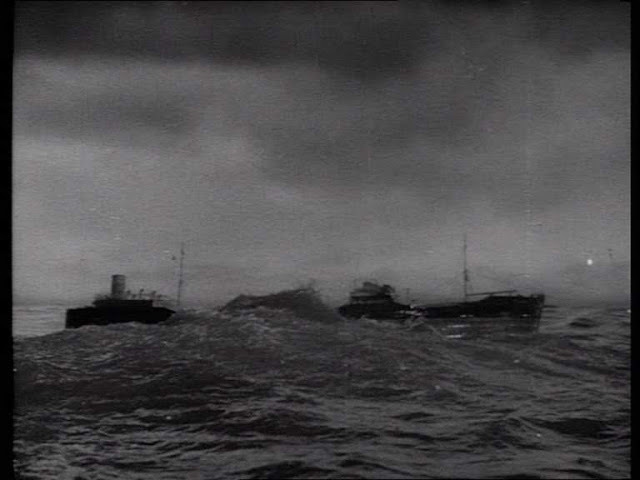 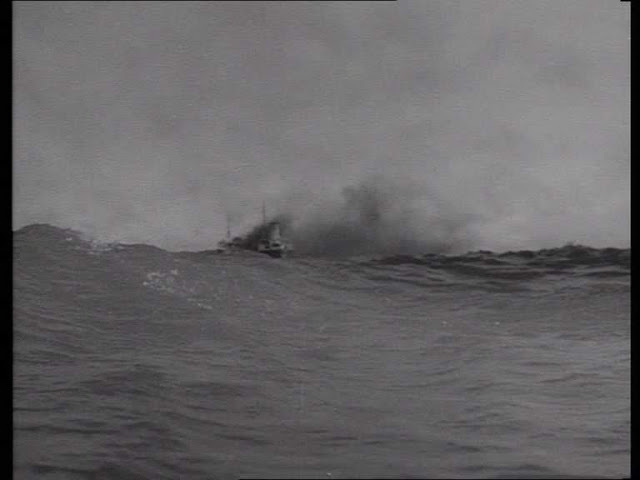 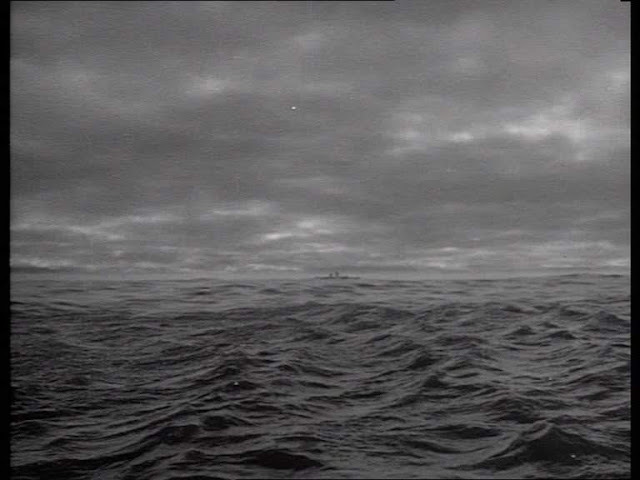 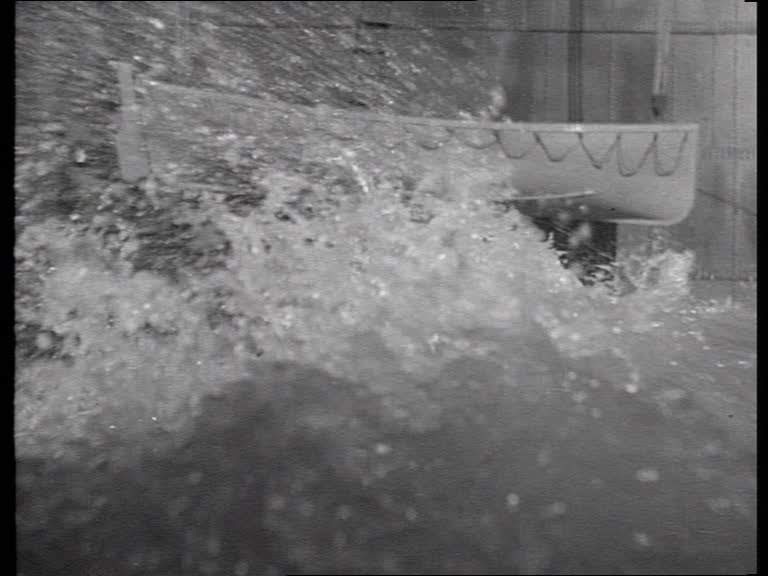 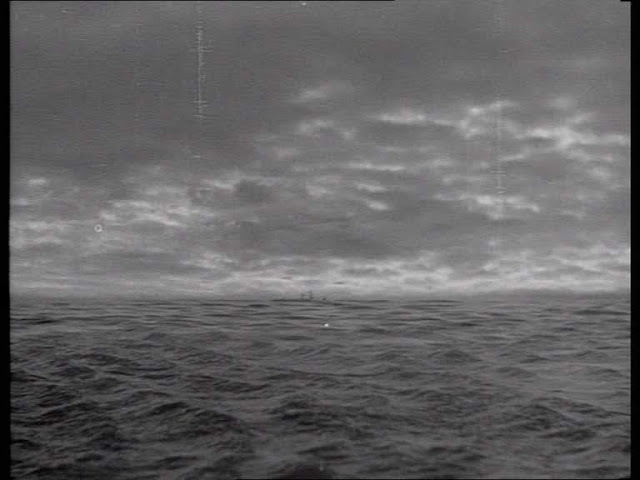 Of course British films and special effects supervisors generally had to make do with much smaller budgets than their Hollywood counterparts, the contrast between the work done here and that seen in my last post "Action in the North Atlantic" both made in the same year, becomes apparent in the scale of the action and the scope of the work. 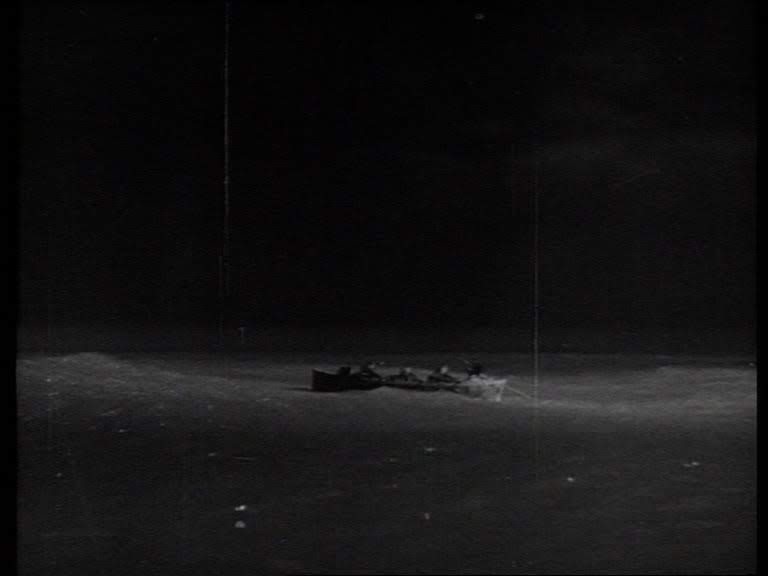 None the less, the miniature work is for the most part pretty impressive. 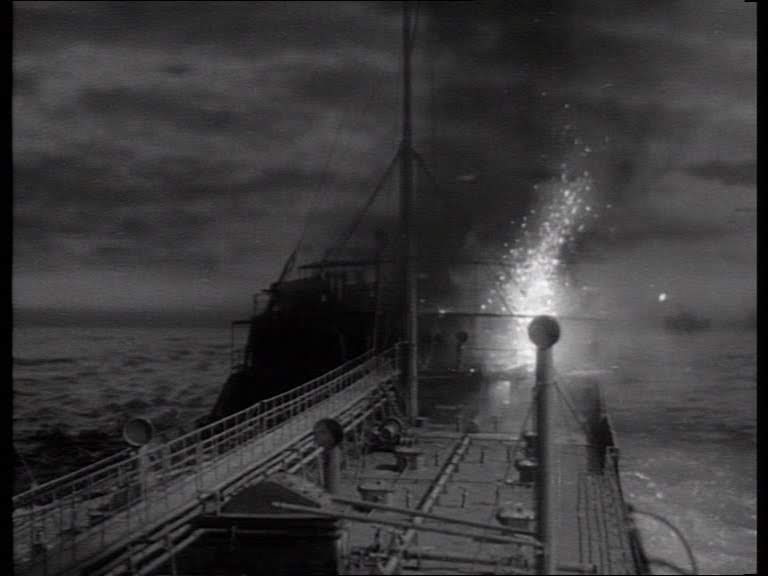 Some of the explosion shots could have used a higher shooting speed to slow down the blasts and give them more weight and the near miss explosions in the ocean are obviously superimposed rather than real detonations in the water. 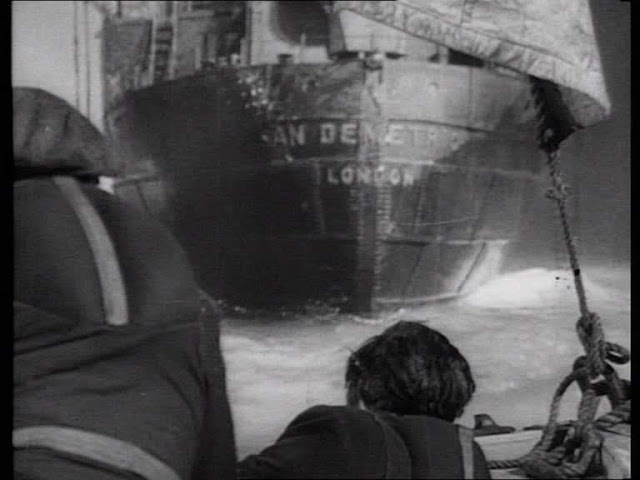 The story telling more than makes up for the any small quibbles with the miniatures with its heroic depiction of ordinary merchant seamen improvising to survive. 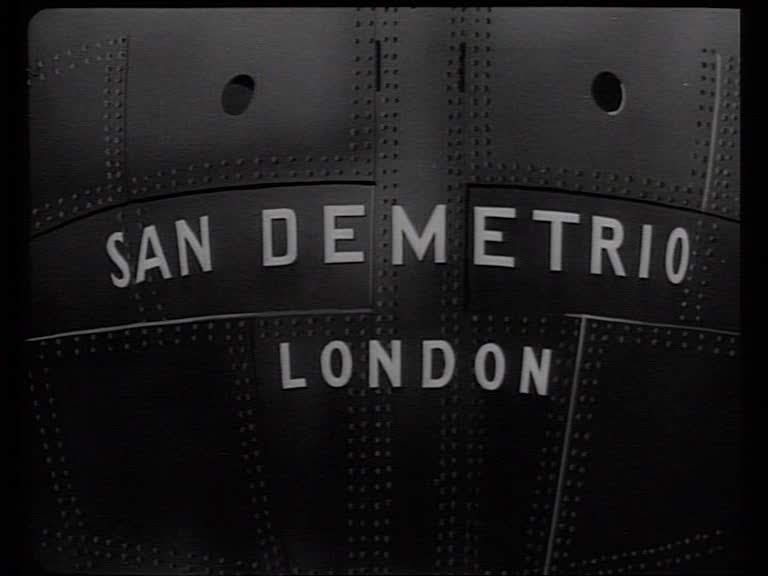 The model of the San Demetrio is currently (16/08/2015) on display at the Imperial War Museum in London. I'd love to see some pictures of it.